Two men are dead after a WA yacht flipped during a race. Picture: Channel 7. TWO men have died after a yacht participating in an organised race capsized off Western Australiaâ€™s southwest coast. The yacht, Finistere, was taking part in the 70th Bunbury and Return Ocean Race and had six people on board when it overturned off Mandurah. The Australian Maritime Safety Authority (AMSA) received a distress call just before midnight on Friday (WST). A rescue helicopter arrived at the overturned vessel at the same time as two other yachts. Crew from those yachts pulled five people from the water, including a sailor who had died. Another man remained missing, but his body was spotted by a helicopter on Saturday afternoon and recovered by police. The two men were aged in their 60s and 70s. Racing has been cancelled as a show of respect, and Commodore Dean McAullay said support would be offered to family, crew and race competitors. It was too early to speculate about the incident and authorities would investigate, he said in a statement. Rescue helicopters, water police, volunteer marine rescue crews and two other yachts from the race were involved in the extensive search for the sixth crew member, in an area of about 90 square nautical miles. Surviving crew members were taken to shore for medical treatment. 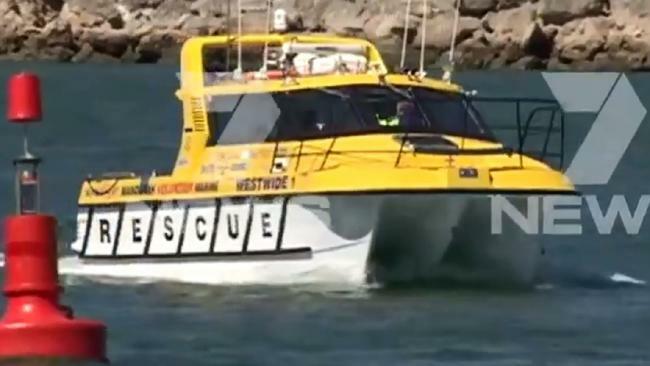 The 15-metre yacht Finistere was about 11 nautical miles southwest of Mandurah when it raised the alarm and attempts to contact it via radio were unsuccessful. Police are preparing a report for the coroner.